Daniel Cormier cements his legacy by becoming the only second fighter in UFC roaster to hold two- division titles simultaneously after stopping Stipe Miocic in dramatic fashion during the first round of their super fight at UFC 226. After beating Miocic, Cormier called out WWE star and former UFC heavyweight champion Brock Lesnar into the cage as soon Lesnar entered he confronted ‘DC’ and shoved Cormier in the chest while the fighters traded insults to hype a potential future bout. After hearing the news, Miocic has voiced his displeasure with the antics that went on following his loss at the UFC 226 pay-per-view event. Miocic defended his title more than any fighter in UFC history wants an immediate rematch before the Cormier vs. Lesnar super fight and would not accept any contest other than his title rematch. 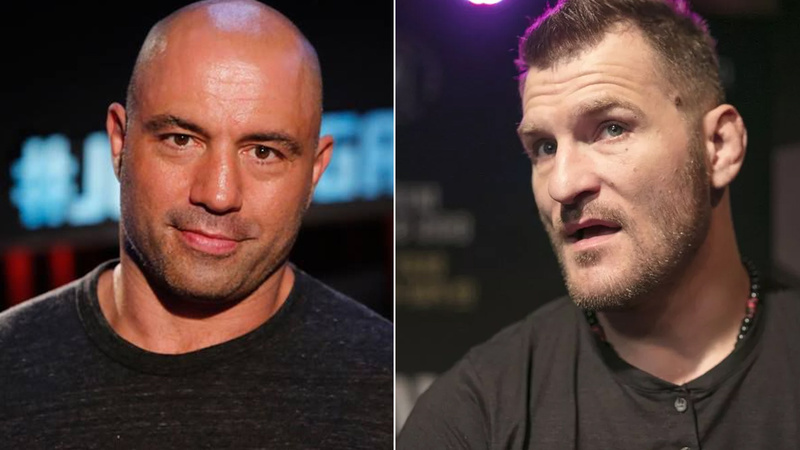 UFC commentator Joe Rogan agrees with Stipe Miocic and what he has achieved said he deserves a rematch during recent episode of Joe Rogan Experience MMA Show podcast. “He should [get a rematch],” Rogan said to Bryan Callen and Brendan Schaub on MMA Show podcast (Via MMA Fighting). “People are thinking, the guy wins more UFC title defenses than anybody on the history of the sport and becomes the most accomplished heavyweight of all time. Think about what he’s done. Think about the fact that he knocks out Fabricio Werdum to win the title, he knocks out Alistair Overeem to defend the title, he knocks out Junior dos Santos, beats Francis when everybody is terrified of Francis. Cormier who already declares he will fight twice before his retirement and Lesnar being his last fight. He did say he may be open to fighting Miocic after defending his heavyweight title against Lesnar. As Lesnar being his retirement fight, rematch only sense if he successfully defends his title against WWE star and opens to rematch with Miocic that seems unlikely. Rogan added, Miocic rematch only senses if Lesnar unable to pass the tests. Do you think Miocic should get a rematch against Cormier?